Vision Therapy can be used to treat a variety of visual deficits. This may include issues in binocularity, eye focusing, and eye movement (visual tracking or oculomotor skills). The most common conditions that benefits from vision therapy are convergence insufficiency, strabismus and amblyopia. Therapy sessions are planned based on individualized needs. It may encompass concepts of behavioural optometry and traditional orthoptic eye exercises. The activities during vision therapy may involve the use of equipment, games, flipper lenses, computer-aided devices, etc. It is essential that patients complete a thorough evaluation at IGARD before commencing their therapy sessions. 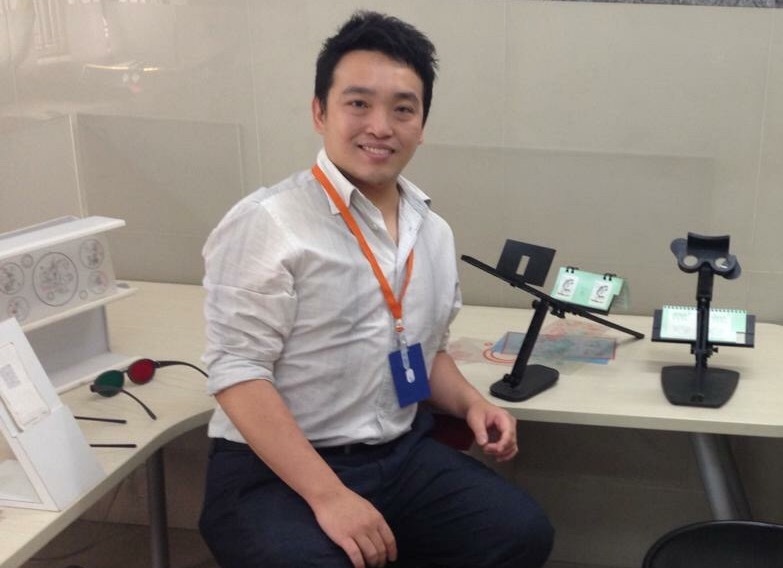 Patients will normally go through a detailed functional vision assessment. 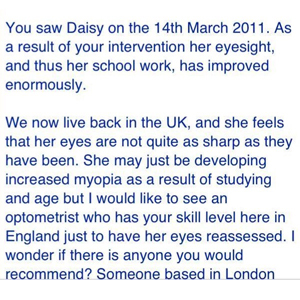 Another Child Attaining Academic Success through Vision Therapy: a letter from Daisy's parents to IGARD Center in Singapore.